This is Part 3 (of 3) of my mini-tutorial on the afterthought thumb used in making my Multi-Pane Mittens. Part 1 was THE FORETHOUGHT. Part 2 was THE PICK-UP. We ended Part 2 with a slightly scary looking thumb hole. Please do not be afraid of the floats! IF YOU ARE USING DOUBLE-POINTED NEEDLES... You will need to introduce another needle before you can knit in the round. I suggest that you place the first 5 sts from the lower needle on a third dpn. 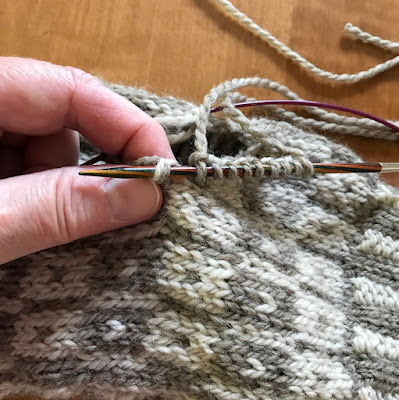 IF YOU ARE USING TWO CIRCULAR NEEDLES YOU ARE READY TO GO. All photos will show the use of two circular needles, my own preferred needle type. – 20 thumb sts... Not so bad. Right? 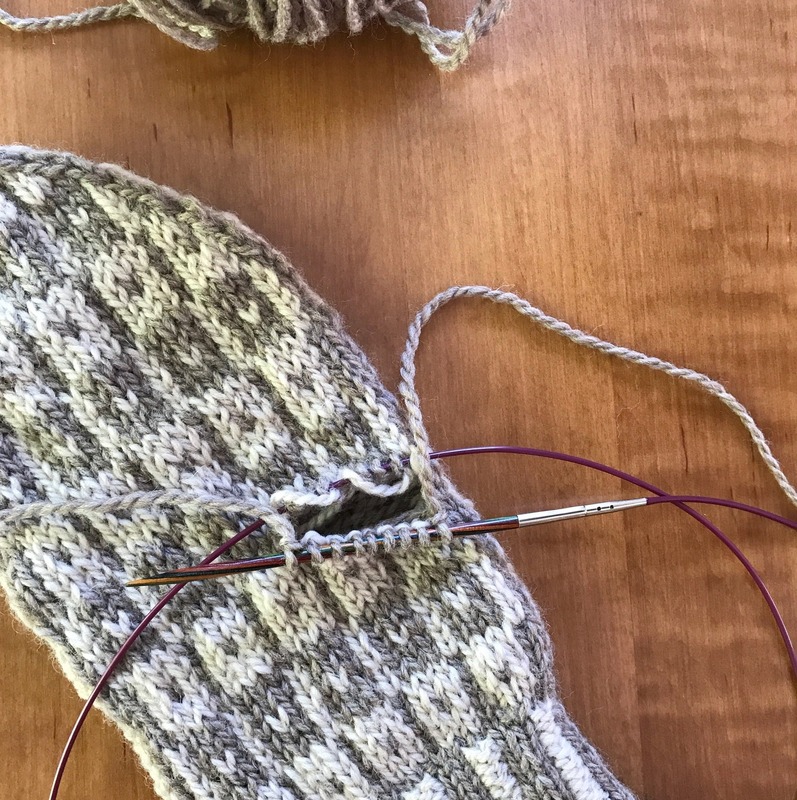 Continue to follow pattern to finish knitting of thumb. There is one more step to the afterthought thumb. More often than not you will have a hole on one or both sides of the thumb. If your holes are as noticeable as the one shown below, they will require a stitch or two to sew closed. 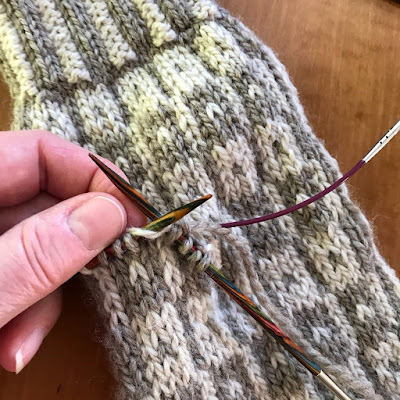 Turn the mitten inside out, and take little stitches catching just one yarn at a time. 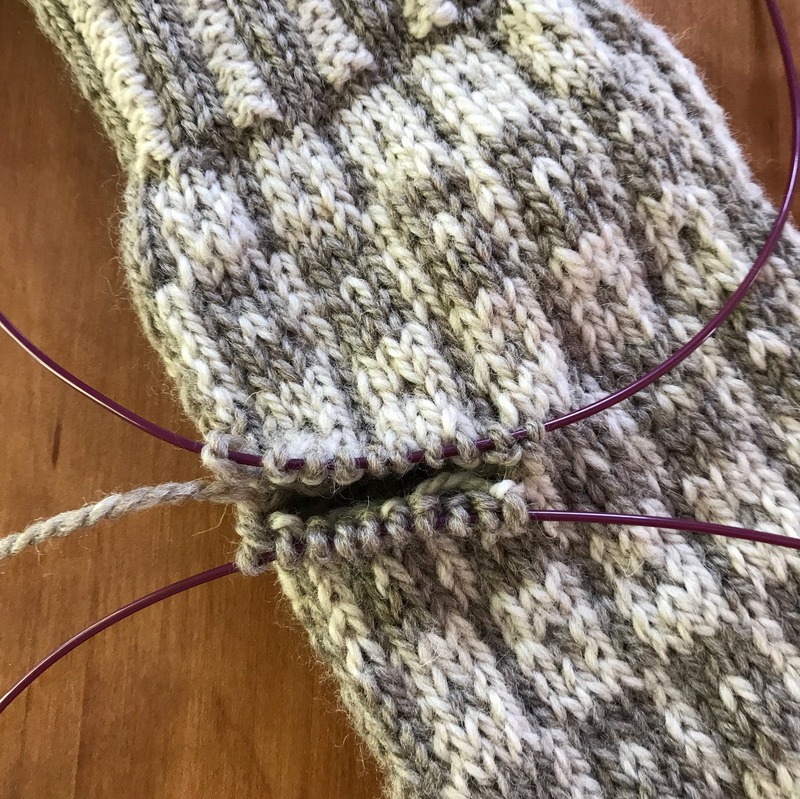 Check the outside of the mitten before weaving in ends. All that my mitten needs now is a nice bath. Stranded colorwork evens itself out beautifully after a gentle hand-washing. Use lukewarm water and mild soap, rinse, blot out excess moisture and lay flat to air dry.